(Natural News) The longer President Donald Trump remains in office, the more unhinged and unsettled the perpetually angry Left becomes. Trump Derangement Syndrome has gotten so bad for liberal billionaire Tom Steyer he is actually pining for a nuclear war that would kill tens of millions (including him) so there would be a “real course correction” for our country. That’s absolutely insane. There were many on the right who were certainly not fans of Barack Obama, but as far as we know no conservative ever called for a nuclear war just so we could get rid of him. 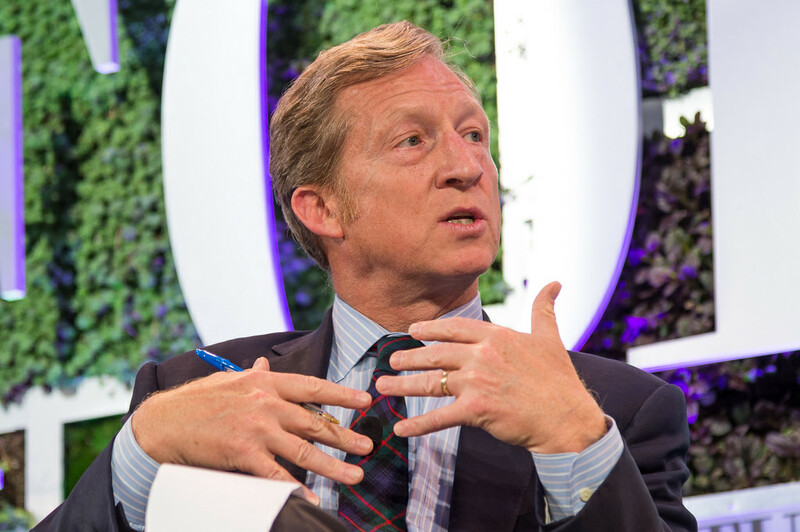 Steyer, who launched a national impeachment campaign against President Donald Trump last year, spoke with the liberal magazine about his efforts, which have been opposed by leading Democrats like House Minority Leader Nancy Pelosi (D., Calif.). Interviewer Tim Dickinson pointed out Pelosi’s strategy of opposing impeachment of President George W. Bush, to take the issue off the table in 2006. Democrats took back both chambers of Congress in an electoral rout that year. Steyer said that he remembers 2006 and that Bush was responsible for embroiling America in “two disastrous wars” — which weren’t really “disastrous” except to the Left, and one of which was tied to our country being attacked on Sept. 11, 2001 (which Steyer probably blames America for). He also said the U.S. was headed toward financial doom — what would become the Great Recession, though that really didn’t start until late 2007/early 2008. After being questioned about the remark, Steyer said he would withdraw the nuclear war reference, but it’s obviously how he feels because it just rolled out of his mouth so effortlessly. He then went on to preen and posture like the Left always does about how they are trying to ‘do the right thing,’ as though liberals are the true arbiters of national conscience and morality. But it’s clear that Trump Derangement Syndrome has infected Steyers’ soul, judgment, and reasoning ability. Or he would have never made the ‘nuclear war’ reference to begin with. And weren’t these same unhinged libs just recently claiming that Trump should get nothing less than full nuclear disarmament from North Korea? That was, of course, well after they were claiming — like they did with Ronald Reagan — that Trump would ‘get us into a nuclear war’ because, you know, he’s this bumbling idiot authoritarian who is really operating under Vladimir Putin’s command. Besides, Trump hasn’t done anything to warrant impeachment. Obama, by comparison, so regularly ruled by executive fiat and was the master of ceremonies for so many scandals he proved that short of knocking off a convenience store and having the whole thing caught on camera, there is practically no way to get a president impeached. Not only that, it doesn’t look like Steyer and his “Impeach 45” ally, crank Maxine Waters, are going to get “blue wave” Democratic victories in November, either, with the issue. But hey, maybe this billionaire hypocrite out there on the lunatic fringe will at least get a great tax write-off. Read more about Left-wing lunacy at LeftCult.com.